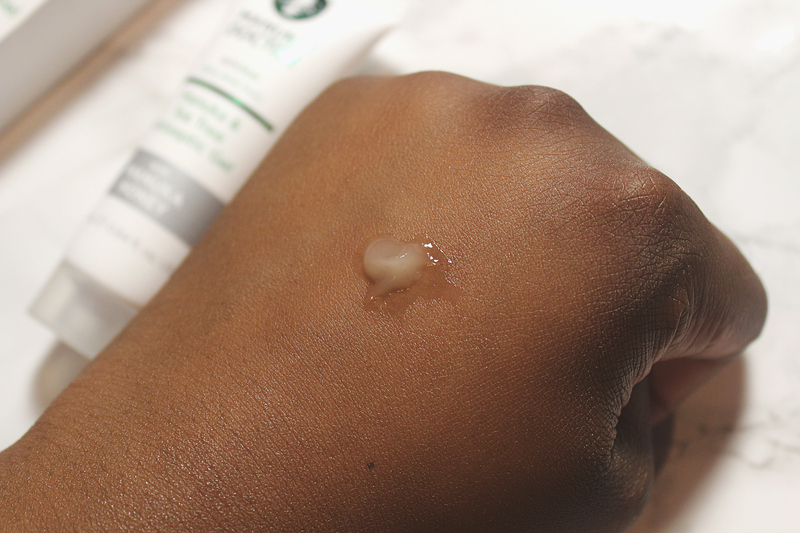 Unable to purchase my go to, MOA The Green Balm, a friend recommended Manuka Doctor Manuka & Tea Tree Antiseptic Gel. 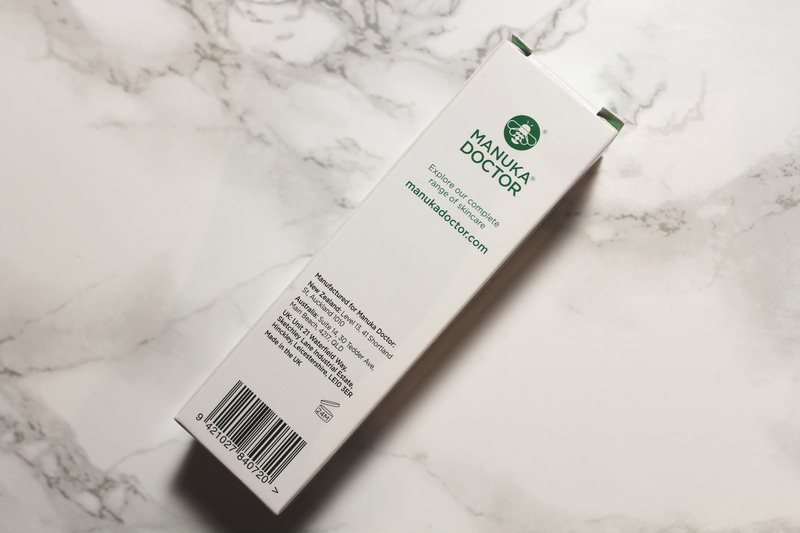 Manuka Doctor Manuka & Tea Tree Antiseptic Gel is a topical gel for skin irritations, formulated to soothe as well as cool. 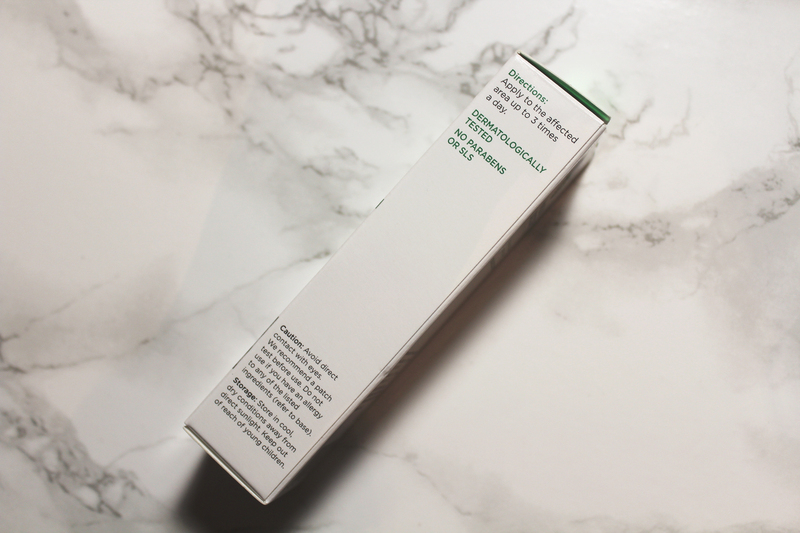 It is infused with natural powerful effective ingredients known for their anti-bacterial and soothing properties. 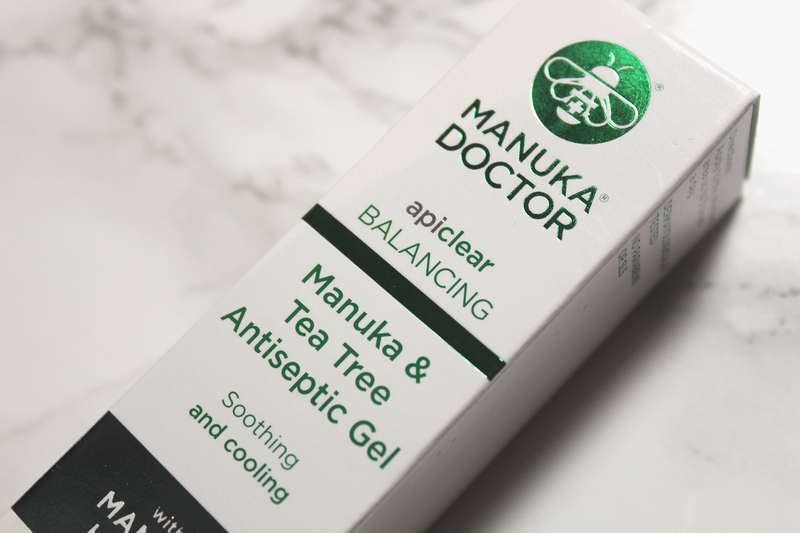 Manuka Doctor Manuka & Tea Tree Antiseptic Gel is a unique formula as it also contains mānuka honey from New Zealand as well as propolis. Propolis is a compound produced by bees. The production process involves the mixing of saliva and beeswax with exudate gathered from the bees’ environment. It is used to seal open spaces in the hive. It is also thought to heal wounds and fight infections in mammals. 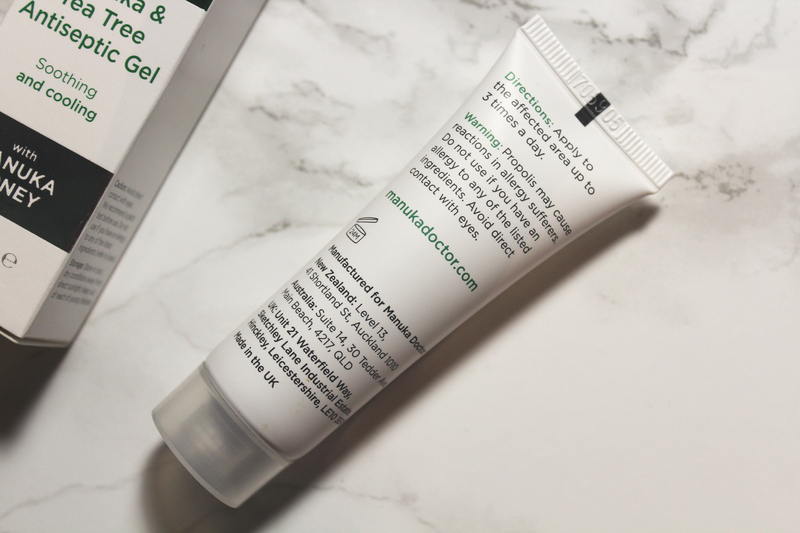 Although I prefer the consistency of MOA The Green Balm, Manuka Doctor Manuka & Tea Tree Antiseptic Gel is just as good. It is also affordable. Costing £3.99, I purchased a 25ml tube from Superdrug. Manuka Doctor Manuka & Tea Tree Antiseptic Gel smells relatively pleasant. The scent is of tea tree but it is not overwhelming or too medicinal. I can also detect very light notes of honey. 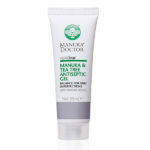 Manuka Doctor Manuka & Tea Tree Antiseptic Gel is a cooling formula, working effectively upon application. It tingles (in a good way) and it works very fast. 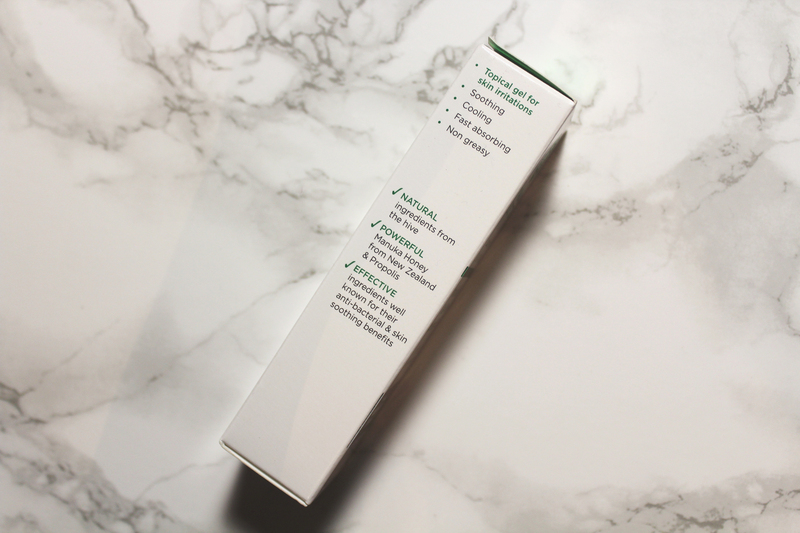 A little goes a long way so 25ml should last a while; 24 months is the PAO (period after opening). I like to use such products on inflamed ingrown hairs, sebaceous cysts and boils. 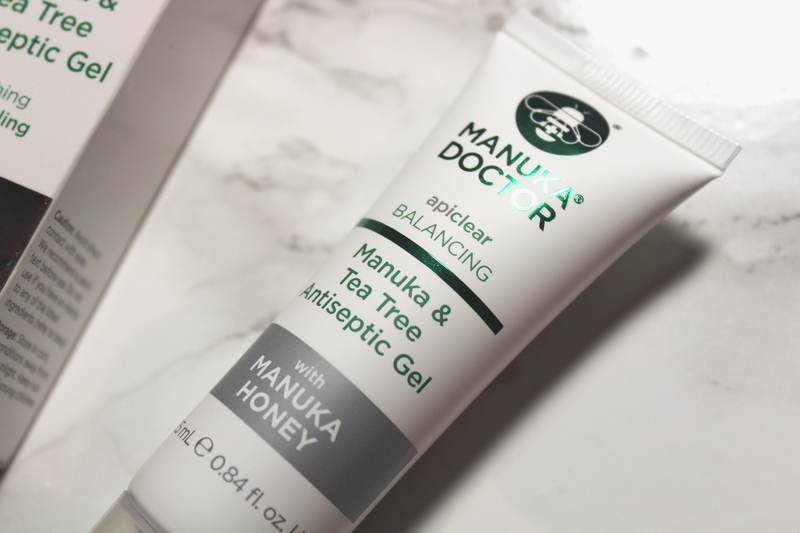 If you are in need of a good topical gel or cream, check out Manuka Doctor Manuka & Tea Tree Antiseptic Gel.